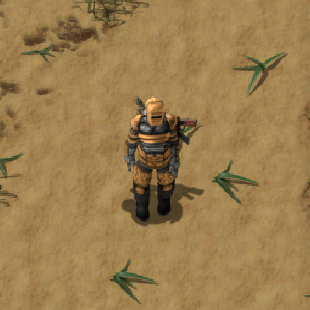 Heavy armor provides more protection than light armor, nearly nullifying the damage from small biters (from 7 damage to 0.7) as well as providing respectable protection from medium biters, spitters and worms. Additionally, it provides excellent protection against accidental self-inflicted damage from grenades. New player animation. Three levels depending on the armor. This page was last edited on 23 April 2018, at 17:49.